Tickets must be purchased through United Women on the Fly, here: https://www.eventbrite.com/e/washington-tu-womens-weekend-tickets-34408710379. Join the Yakima Fly Fishers Association, Kittco Women on the Fly, Icicle Fly Girls, Spokane Women on the Fly, Olympia Women on the Fly and Puget Sound Women on the Fly for a fun filled weekend of socializing, education and conservation. You can pick or choose the events that you'd like to be a part of or come to them all! Friday we'll be tying flies, Saturday we're hosting a Women's Level One Class, taught by Heather Hodson, during the day and in the evening we'll be showing three women fly fishing films. 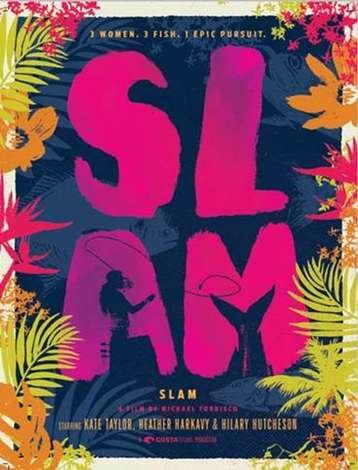 "Costa SLAM" is the engaging story of three anglers from different walks of life in pursuit of the same epic challenge with just a few days to accomplish it. “Old Friends New Fish” and “Odd Man Out” also being shown. Ticket price includes one beer token, swag and three films. Bring your friends, significant other and families to this fun event supporting an incredible cause. NOTE - Saturday is not women specific, we encourage everyone to come!! Friday Evening 10/13 - Hackle and Hops Tying $10 for supplies. Location to be announced. Saturday Evening - Costa Slam Film Night at the Iron Horse Brewery. $15 (including 1st beer, appetizers, and the movies). 50 Person Max. Email questions to info@unitedwomenonthefly.com. This is always a fun event and you don't want to miss out! !